Our house has a nice covered front porch. 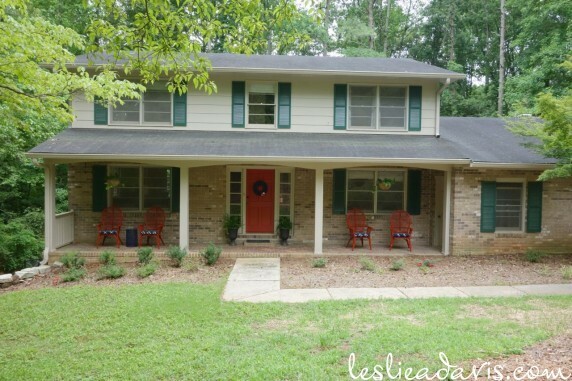 We did not have a porch at our first home, so I had no furniture or decor to use when we moved last year. I started looking for inspiration pictures last year. 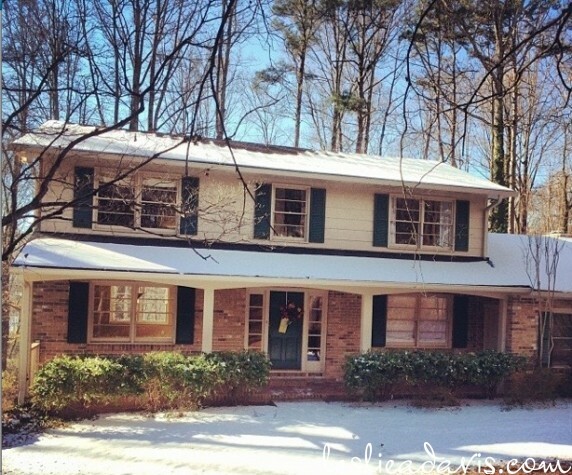 Our house is very symmetrical, so I am sticking with that overall theme on the porch as well. 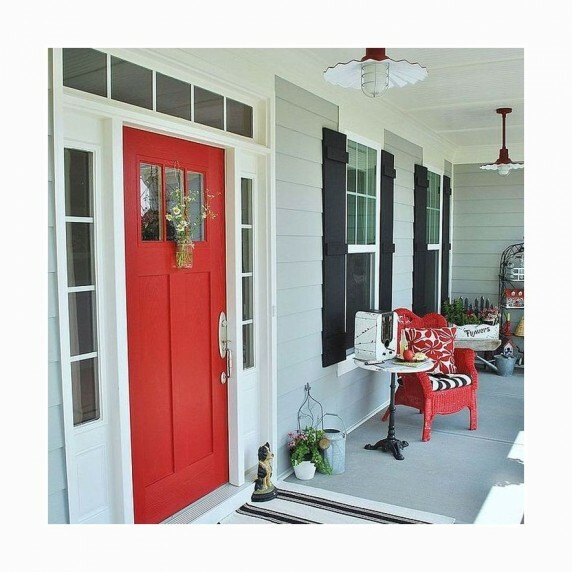 After deciding to paint the front door red, I came across this photo on Hometalk that gave me the feel I was looking for. Until seeing this picture, I had not considered wicker. It always seemed like standard 80’s sunroom decor to me. But seeing this fun red take on wicker chairs made me rethink my previous judgment. 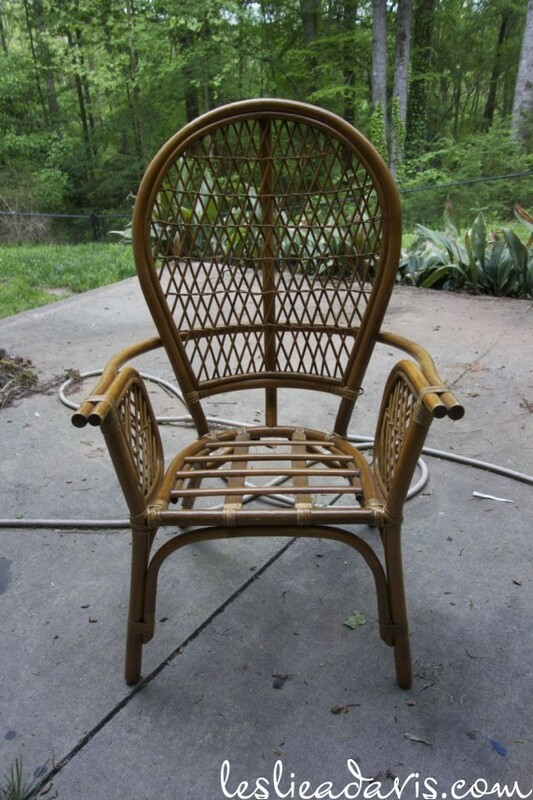 I began scouring Craigslist for four chairs. Wicker chairs in a set of four are not terribly common, but I eventually came across a dining set with chairs that looked just right for my vision. I liked the high fan-shaped backs, the loose weave of the wicker so that the red color isn’t overwhelming, and the fact that the chairs have arms. I used Rustoleum automotive spray primer and Paprika spray paint in a satin finish. 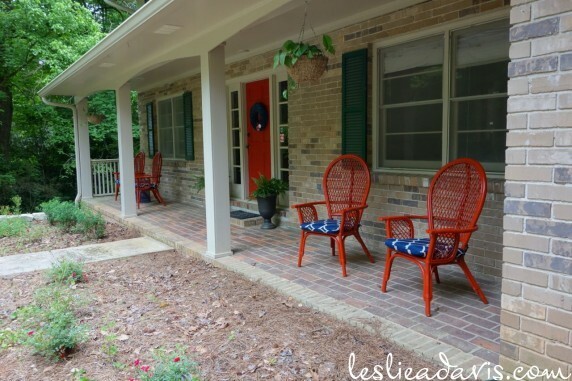 I considered going back over the chairs with the front door paint using a brush, but the Paprika color was so close to the door color that I felt it unnecessary. The door color is Burning Bush by Olympic, which I had color-matched at Sherwin Williams. Now I just need to get around to painting the shutters navy. 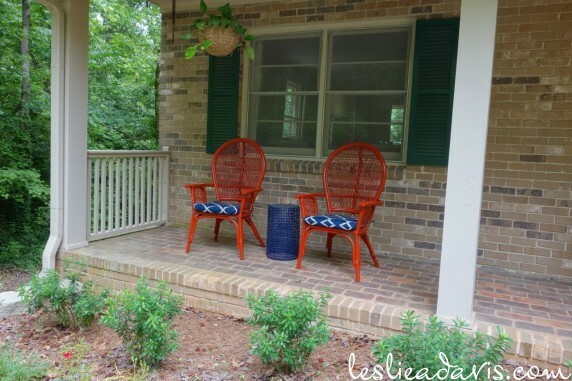 This entry was posted in Our Forever Home, Outdoor Space on June 3, 2015 by Leslie.